While we encourage confidence on the road, we also advocate for exploring Portland via safe bike routes and visiting some of our city’s most innovative community partners. Our OMSI Bike Camps had the opportunity to go on canoe trips with the Lower Columbia River Estuary Partnership. 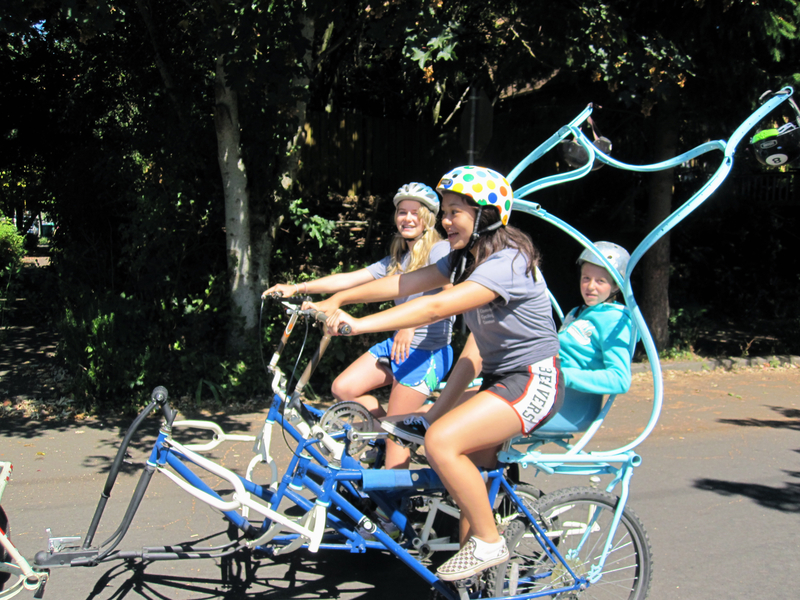 The rest of our camps visited local heroes like Johnnie with Rejuiced Bikes, Tori from Gracie’s Wrench, Ryan from Icicle Tricycles and Portland Pedicabs, and Jude from Sugar Wheelworks. 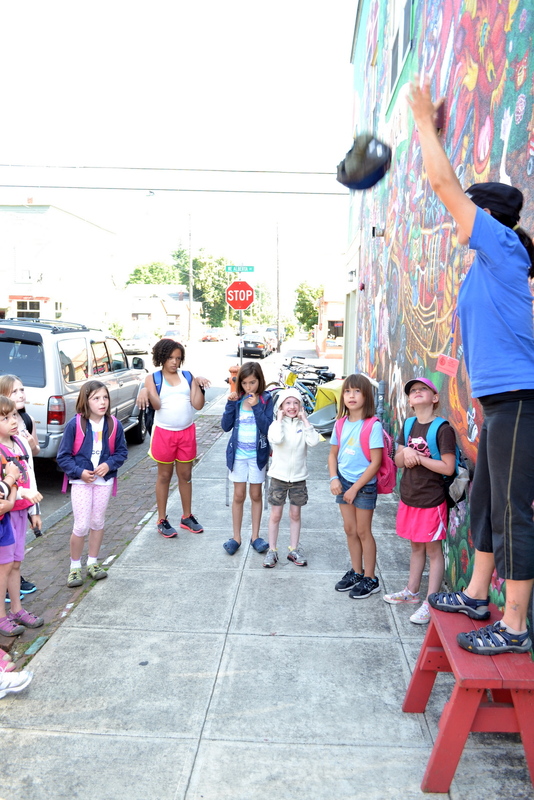 Our advanced camps rode out as far as Blue Lake, Sauvie Island, and Kelley Point Park, while our youngest riders rode to parks like Peninsula Park to play in the water feature or to Irving Park to hear a story from Gary, the Oak Tree, with Friends of Trees. We were able to offer Bike Camp scholarships to youth, thanks to our partners at Russell St. BBQ and the Portland Timbers. Kids leave Bike Camp with not only a greater awareness of safety, but of what’s sparkling beneath the surface of our bustling town. We are already looking forward to next summer’s epic adventures! Visit our Bike Camp Flickr page.